Sandy’s Instant Pot Beef Stew is a weeknight dinner game changer. This is a dump and push start kind of recipe. 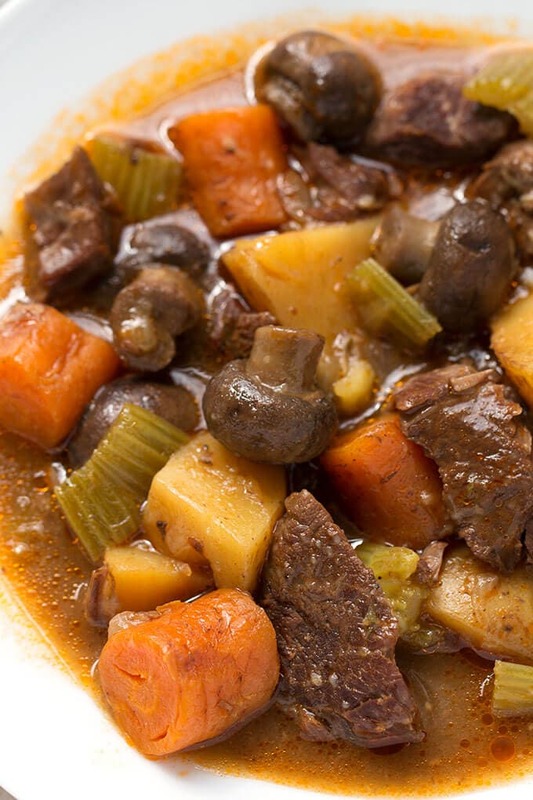 It is a simple, delicious beef stew with great flavor. Ahhhh, spring have returned to the Pacific Northwest! I was so glad when rain was in the forecast. It was time for Sandy’s Instant Pot Beef Stew! Sometimes you are in a hurry to get dinner on the table. Sometimes you need to take a shortcut. With Sandy’s Instant Pot Beef Stew you do not have to brown the meat first. I mean, you can if you want, and it will be great, but you will still get a rich and delicious beef stew without doing it. It will also save you some time, which on a weeknight is awesome! 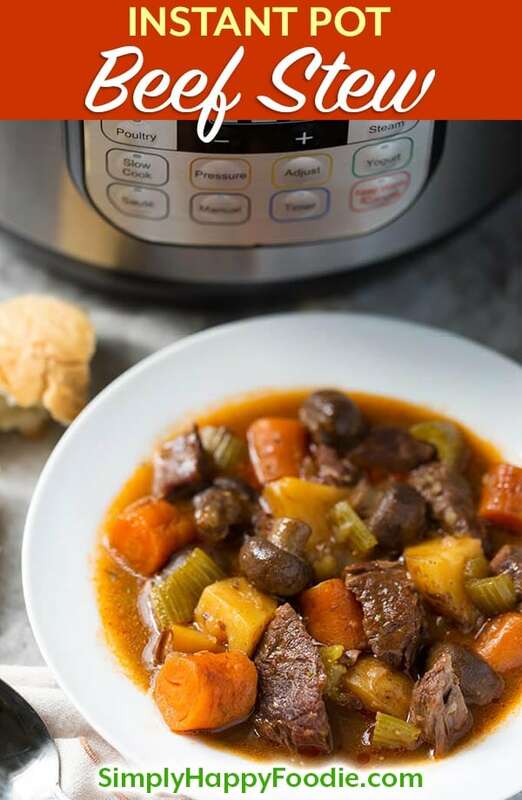 Sandy’s Instant Pot Beef Stew is one of those recipes that you will go back to because it is so easy & tasty. 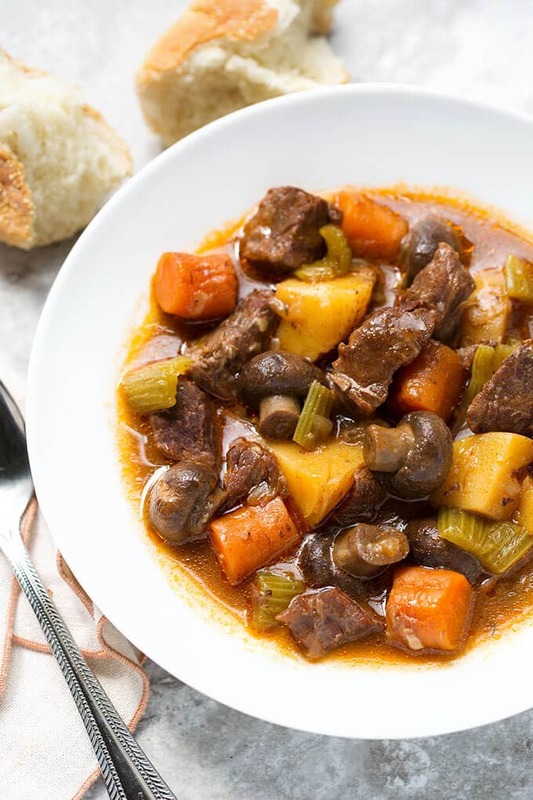 Even if you still have a heat wave where you live, making this beef stew in your Instant Pot will be not only fast, but it won’t heat up your kitchen! Winner winner, beef stew dinner! Sorry, I am really excited about this recipe. I can’t wait for you to try it. Total comfort food. 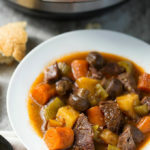 Sandy's Instant Pot Beef Stew is rich, delicious, and easy! No browning of the meat required! Put the lid on and set the steam release knob to Sealing position. Manually release the remaining pressure. Do this in short bursts as a full release at this point will have the hot stew spewing out of the steam release knob and all over your kitchen (don’t ask me how I know this!). *If you want to brown the meat first, just toss the beef cubes in flour, set the pot to Sauté, add some vegetable oil, and brown all sides of the meat before continuing. Loved this recipe, my husband wants me to make it again! I did add a bit of Cajun Seasoning in for a little kick! I will definitely make this again! I’m making this again, Sandy! It was quick and delicious! Hi Joy! That’s great to hear! I wanted this to be an easy way to make a meal that seems complicated. And have it taste good! I really appreciate that you took the time to let me know! Enjoy! Not a fan of beef stew but I love this recipe. Melts in your mouth. Will be making it again and again. Hi Roberta! That’s amazing! Sometimes a certain combination of flavors will change a person’s mind about a recipe! I’m so glad you liked this beef stew! Thanks for the comment and review! I am going to try your recipe tonight Sandy. I picked up tiger eye beans from our local organic store and soaked them overnight. I am going to add it to stew as a thicker . Hope it turned out ok.
That sounds so interesting. I have not used Tiger Eye beans before. Please let me know how it works! Sandy, this yields 6 servings. So, it’s not written for a 3 qrt size pot, right? I haven’t used my mini yet, and know nothing about sizing recipes to fit. Right this is not for the 3 quart. You can cut it in half and keep the cook time the same, and see if it makes the amount you want. Sandy, I am going to use mini Yukon potatoes, and I have sliced mushrooms. You said 4 potatoes, how do you think 4 regular potatoes measures to mini potatoes. I also figure I shouldn’t add the sliced mushrooms at the start, but after the release, while I am making the roux. Mini potatoes are fine, but don’t cut them into small pieces. Keep the chunks around 1 1/2 inches. You can’t really overcook mushrooms, and adding them in the beginning will add flavor to the broth. My family won’t eat mushrooms. Will it be ok without them? Also, the 3 cloves of garlic — any idea how to convert this to using the jar, minced garlic measurement wise? Excited to make this recipe! Thank you!! Yes, you can omit the mushrooms. I would use 2 tsp of the jarred garlic. 1 more if you really like garlic.